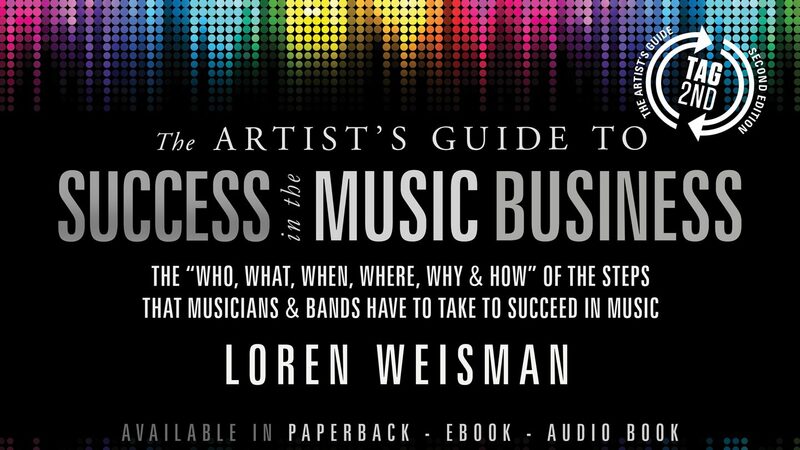 Conclusion of The Artists Guide to Success in the Music Business by Loren Weisman. Putting the final touches on the end. Conclusion: That’s a wrap…That’s all folks!! This is the Conclusion narrated by Loren Weisman from The Artists Guide to Success in the Music Business. “Waiting to be discovered, hoping to be seen, wishing someone else would do the work, wanting to make it big while dreaming of being rich and famous just like your heroes is submissive, passive, foolish, weak, and ineffective.” – From the music business book. Work to create the plan and path that will allow you, your project and your future to go in the direction you dream it to. The take away with the conclusion comes down to what you need to work on, what is in check and what you are already doing that is working. Every musician is different, every path is different. Stop trying to find the exact model to copy, there isn’t one that is right for you. Each path is personalized.